At PDC your comfort comes first. Originally from Cardiff, I now live locally with my young family. After qualifying I joined an exclusive West End practice refining the smiles of media personalities and helping clients have their own healthy teeth for life. Responding to an increase in national demand for personal private dentistry I relocated to Cheltenham. Here I focused on helping clients achieve healthy mouths providing cosmetic dentistry, care for dental phobics and client focused dentistry. 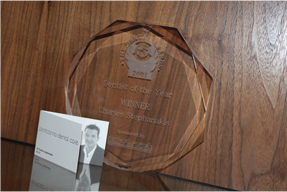 This was reflected by being awarded the national title of Dentist of the Year in 2001 and being runner up in the BT and Daily Telegraph customer service awards. I am passionate about listening to and providing for customers individual needs. Also love rugby, good wine and food. I was born and brought up in Cardiff and after qualifying returned to work near home. 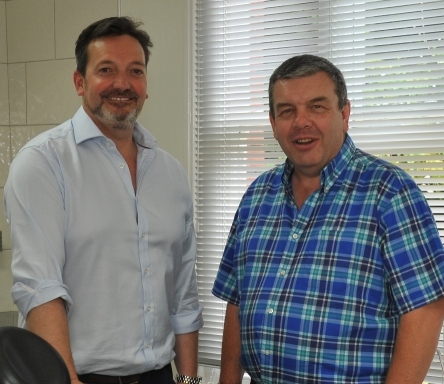 I have worked at the practice since 1988, first as an associate and now as a partner at Pontcanna Dental Care. I have spent that time developing long term relationships with my patients so that the care provided can be of the highest standard and ensuring that the teeth for life message of Pontcanna Dental Care continues. My spare time is occupied by being involved with Glamorgan Wanderers RFC and I enjoy safaris to Africa where I've developed a passion for photography. I started at Pontcanna Dental Care in February 2009 as a Receptionist, so I’m the happy face you see when you come into the Practice. I’ve previously held roles with Abbey National and Algebra Ltd. I love cooking, walking and gardening but I hate sport! I started dental nursing in 2008 gaining experience working at a few practices across Cardiff before starting at Pontcanna Dental Care in 2013. I live with my husband Craig and have no children (yet). I love my annual holidays to warmer climates. I spend my free time socialising with family and friends and going to the gym (when I have the time!). After working at Cardiff Dental Hospital for 8 years, I started working at Pontcanna Dental Care in 2010 as it allows me to perform my role of Dental Hygienist to the full, and to provide excellent care in a warm and friendly environment with the support of an excellent team. I am very family orientated and am happily married with two children. I come to work for a break from my two teenage boys! Although I only started at Pontcanna Dental Care in September 2011, I have over 30 years experience in the dental industry behind me including working as a Practice Manager. I love working in dentistry and enjoy the relaxed and friendly atmosphere at Pontcanna Dental Care. I spend my spare time walking around the Gower and places of historical interest (especially old pubs!). After working in the media industry for almost 10 years, I opted for a change of scenery and began working at Pontcanna Dental Care. As a forward thinking practice, I am able to implement lots of fun and exciting ideas. I live in the Vale with my young family and am Forwards Coach at Glynneath RFC (who beat Alyn's Glamorgan Wanderers on a regular basis!). I recently moved to Cardiff from Bristol after starting my career as a Trainee Dental Nurse in 2009. I have gained experience in the many different aspects of dentistry as a result of working in two private practices in the Bath area. Outside of work I enjoy cycling (especially if there's coffee and cake involved) and horse riding. Since qualifying as a Dental Hygienist and Therapist from Cardiff University in 2017, I have gained experience in both NHS and Private settings across South Wales. Outside work, I enjoy spending time socialising with family and friends, running and supporting the Swans.